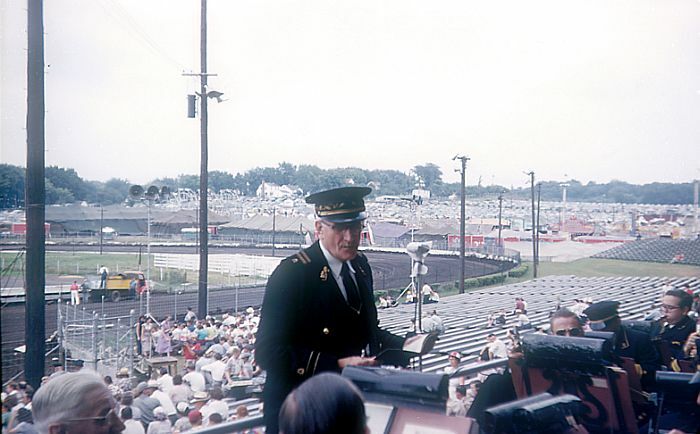 These photos are from the Karl King Band's 1952 State Fair performances. 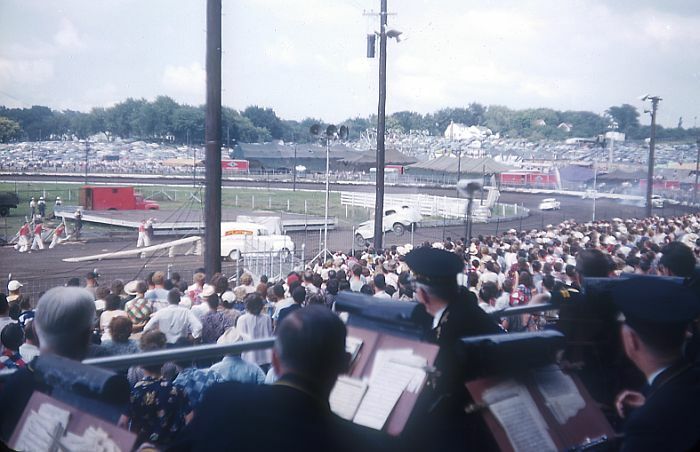 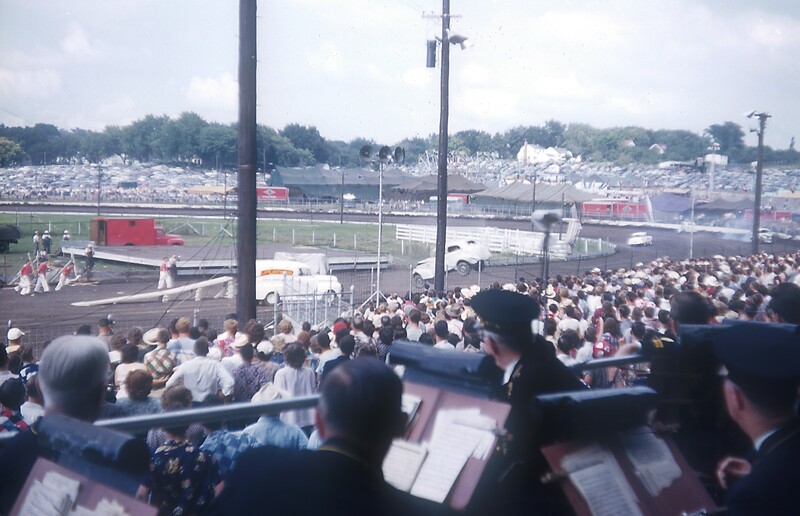 Karl King is seen watching the automobile thrill show. 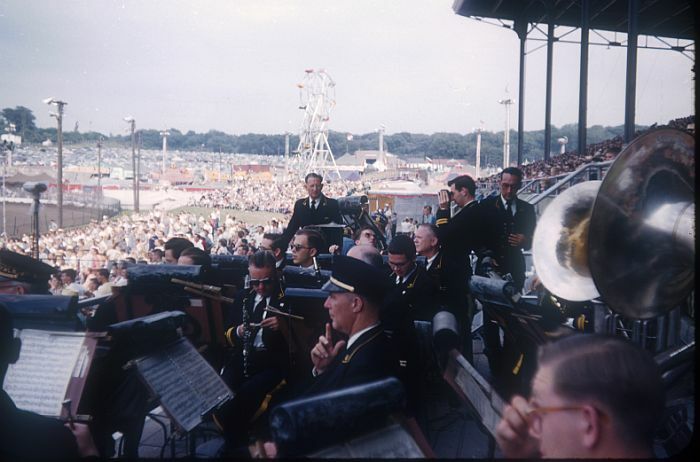 The band would be stationed in the grandstand to perform between shows or to fill in during gaps caused by the moving of props. 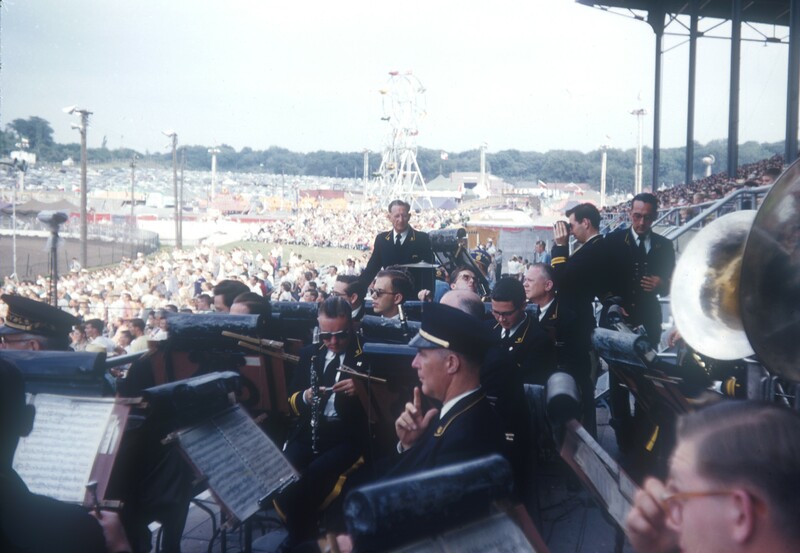 Karl King is seen at the extreme left. 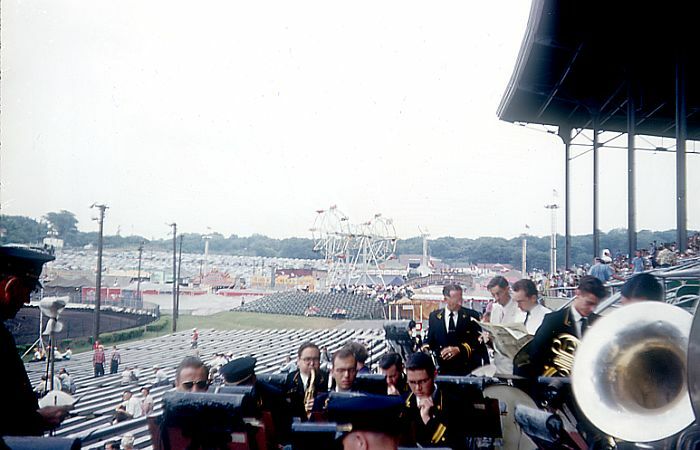 Ralph Pee Wee Peer is seen in the center front. 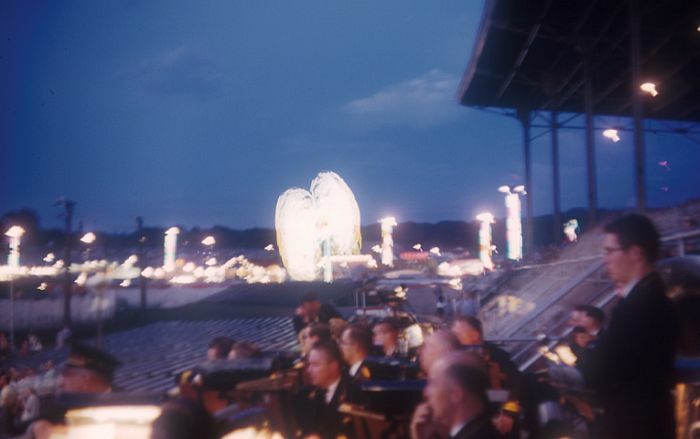 This is the same scene at night showing the lighted midway.